Whenever I travel, whether for work or pleasure, I always make a point of tracking down local capoeira groups and joining a training session or two. While my core game and style come from my regular training with my group – Abolicao Oxford Capoeira – it is so valuable to go along and learn from other groups who will have a different style, a different set of core moves, and a different way of training. It is also an opportunity to play with new people. Playing with the same people in my group all the time, we know each other’s games and can kind of predict the flow of the game. Playing with new people who play in a different way that you haven’t seen and aren’t familiar with is invaluable. I was able to find two great groups in Chicago – you can read about the rest of my trip to Chicago here. 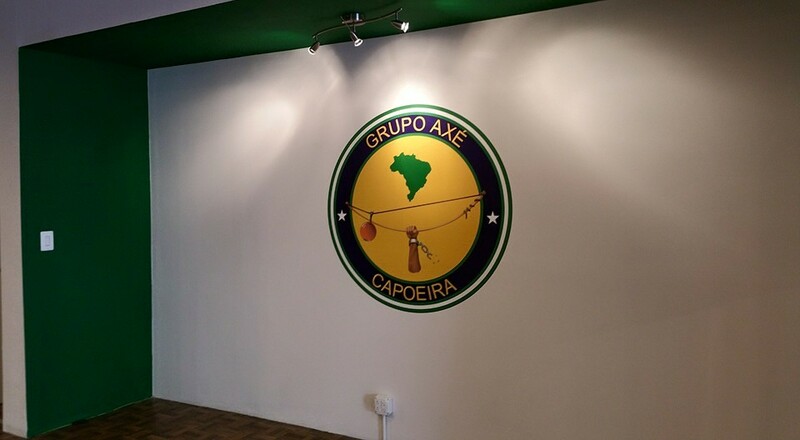 First Axe Capoeira Chicago, Mestre Barrao’s group where I trained a few times with Professor Bambu. A Regional group, which is also the style I train, I was really impressed with the classes. They had a really nice flow to them: starting with a core move like Queixada into Negative, these were built into more complex sequences or linked to Floreios, giving a chance to train these complex moves while also drilling the useful core entry, which you aren’t really thinking about anymore (as you concentrate on the complex stuff) so it becomes part of your baseline game. Professor Bambu was also great at recommending small technique changes that had a significant impact on some of the more complex moves. This group is also very well known for their music, and we play quite a few of their albums at training in Oxford, so learning a few ‘hot off the press’ Proofessor Barrao songs with the group was great. The other group I trained with was Gingarte Capoeira Chicago, an Angola group. I should say that both groups were very friendly and welcoming. I know some people who have had trouble travelling to other groups as there is some politics to capoeira which can mean that they are not welcome – fortunately I haven’t had that problem yet, and both of these groups were lovely. Of course the training session with the Angola group was very different, as it is a very different style of capoeira, but I found that the structures of the classes were quite similar. One interesting things which both groups did was after doing a drill, they would stop and ask the class if they had any thoughts or questions about the moves, and then gives some pointers and tips based on that discussion, before doing the drill again. Very interesting – obviously a Chicago teaching technique. The class was taken by Instructor Tamandua who was great, but one of the attractions of the group is that it has one of the few female mestres, Mestre Marisa Cordeiro, who I did get to meet briefly. She also appear briefly in my favourite ever capoeira video. If you haven’t watched this video before, watch it. This entry was posted on May 4, 2015 by Jessica Suess in Uncategorized.